Please call or text Max at (647) 294-1177 if you want to contact directly. 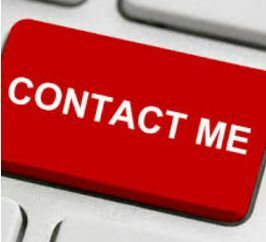 Please click the “CONTACT ME” image below to contact me by email. Service Courtesy of www.MaxTorontoCondos.com and Max Seal, Broker, iPro Realty Ltd., Brokerage, 276 Danforth Ave, Toronto, Ontario, M4K 1N6, Tel: 1-416-364-2036. All rights reserved. Complete toronto real estate listings. Search all toronto ontario homes for sale. Site features new toronto homes, new toronto condos, toronto foreclosures, rentals etc. Please contact Max Seal, a Toronto real estate agent, for professional assistance in listing and selling your home and in finding your Toronto area home.